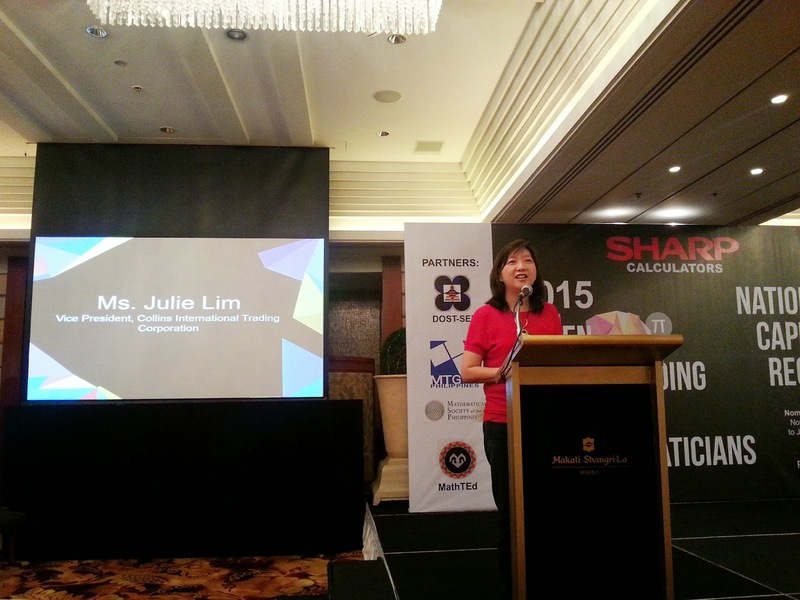 Sharp calculators was my partner during my high school years up to college years(I took up business management). It was my constant accessory in my bag. 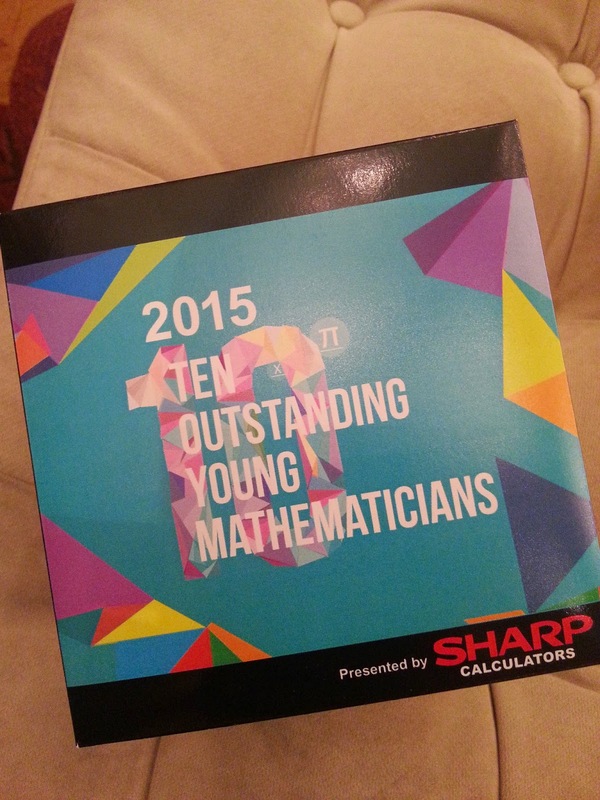 And now, Sharp calculators are looking for 2015 Ten Outstanding Young Mathematicians! 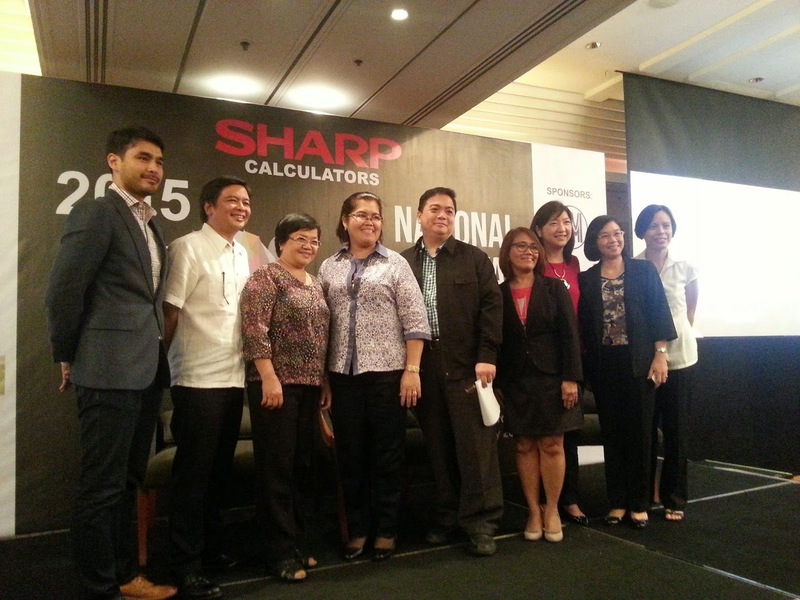 Six years ago, Sharp Calculators through Collins International Trading Corporation launched the SHARP Minds Program to help uplift the standard of education in the Philippines particularly in teaching Math subjects. Partnering with two of the biggest Mathematics organizations in the country, Mathematics Trainers Guild, Philippines (MTG) and Mathematics Teachers Association of the Philippines (MTAP), the SHARP Minds Program sponsored Mathematics activities and programs in member schools with the goal of recognizing the sharpest math minds and transforming the pedagogy of mathematics teaching in the Philippines. 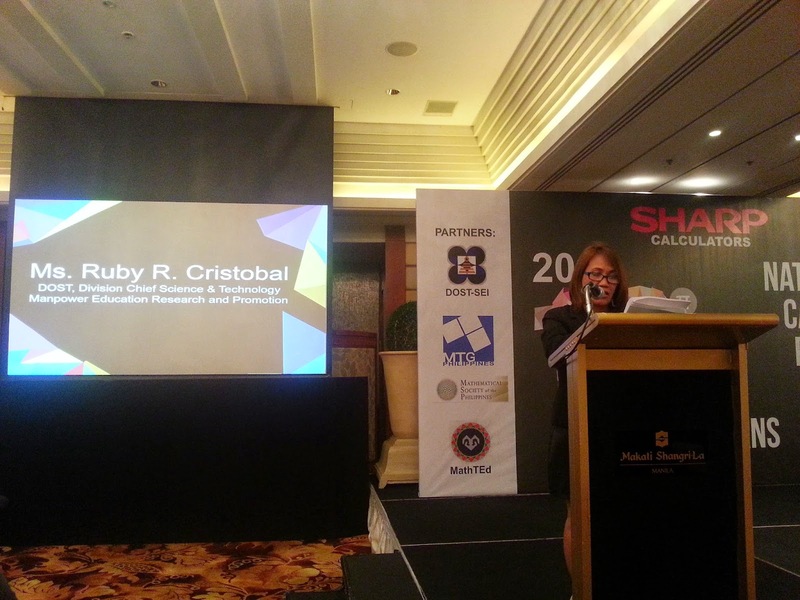 This year, Sharp Calculators furthers its advocacy by partnering with more educational institutions such as the Department of Education-National Capital Region (DepEd-NCR), Department of Science and Technology-Science Education Institute (DOST-SEI), Mathematics Trainers’ Guild Philippines (MTG), Mathematical Society of the Philippines (MSP), Philippine Council of Mathematics Educators, Inc. (MathTEd)as it launches the very first search for the TEN OUSTANDING YOUNG MATHEMATICIANS (TOYM) from National Capital Region. 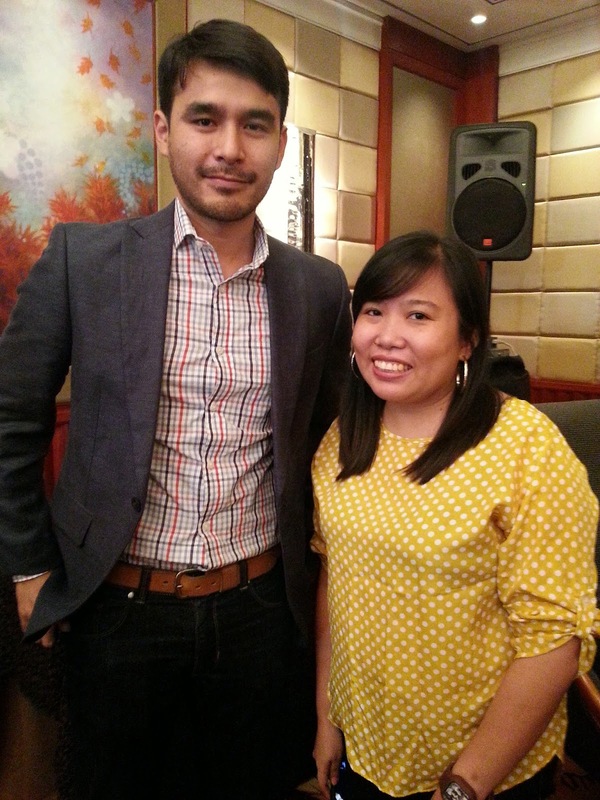 The press launch was held at Makati Shangri-La and was hosted by one of my fave reporter, Atom Araullo. The search is open to all public and private high school students in the National Capital Region who have completed at least two years of high school. 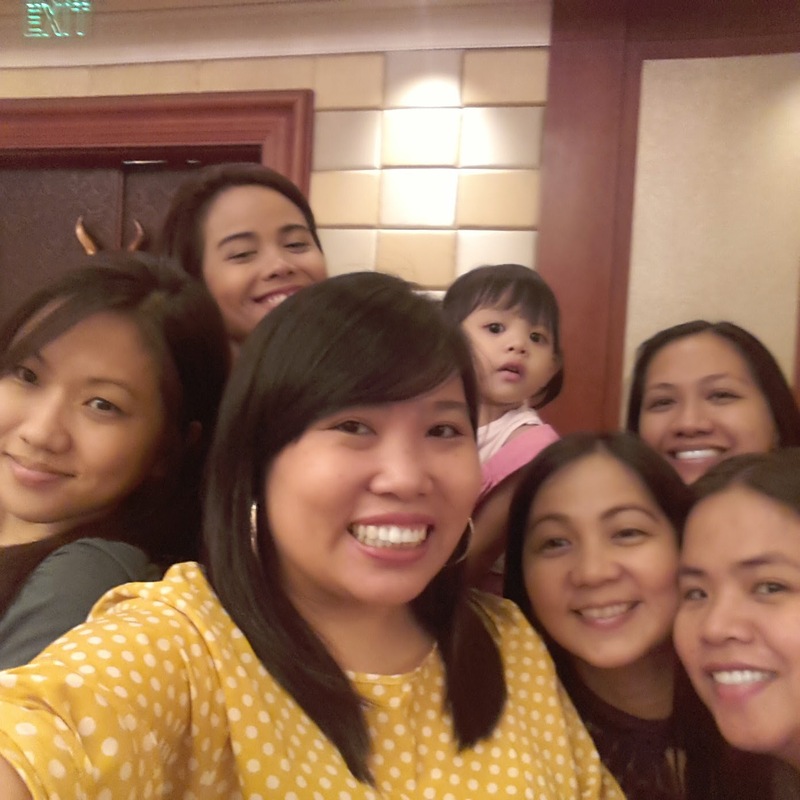 They must be Filipino citizens, either naturalized or born. The nominee must be among the Top 3 students in math as certified by the school principal and the award will be based primarily on the nominee’s performance on national and international competitions. A recommendation from School principal / Mathematics head with supporting documents will be the basis of judging. For students who are chosen to the top 20, each involvement on activities included in the recommendation of the principal/math head or other recognized authority will be reviewed and assessed by judges/co-presenters. The said recommendations will be the basis of the judges’ questions for the panel interview. 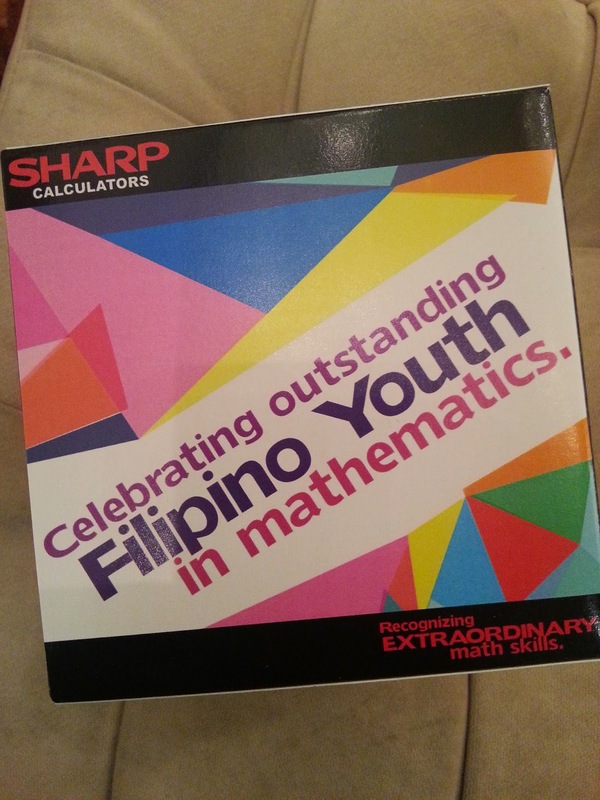 “With TOYM Awards, Sharp Calculators aims to foster the academic excellence of the Filipino Youth in Math as we recognize their extraordinary math skills to motivate them further in becoming the future think tanks of this country. 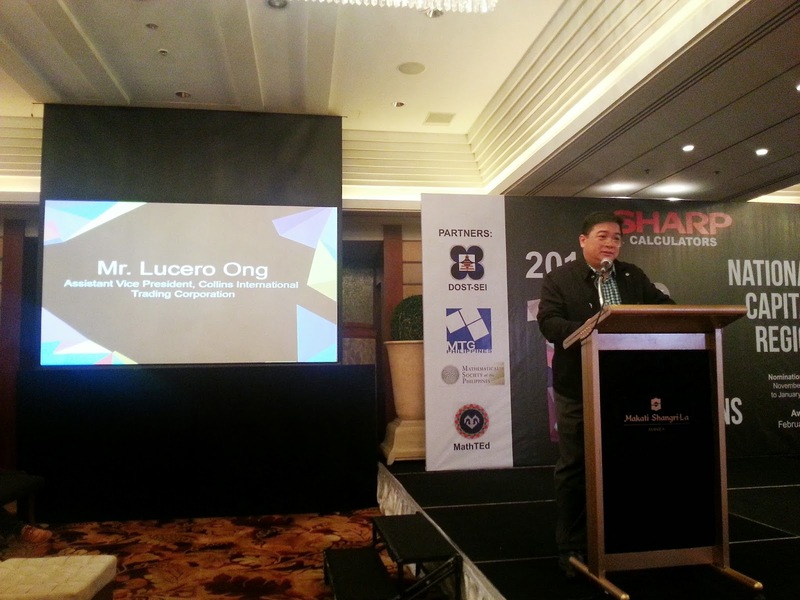 We also hope to raise the status of mathematics in society -- to stimulate the interest of the students, the academic and the general public to the significance of Math in the development of the society,” said Collins International Trading Corporation’s Assistant Vice President Mr. Lucero Ong. “Notable Filipino mathematicians such as Raymundo Favila, Casimiro del Rosario, Gregorio Y. Zara, Amador Muriel, Tito A. Mijares and Jose A. Marasigan have all been recognized for their contributions to diverse fields of physics, astronomy, biophysics and biotechnology. Who knows maybe the next great Mathematician would be among our TOYM awardees,” Mr. Ong added. 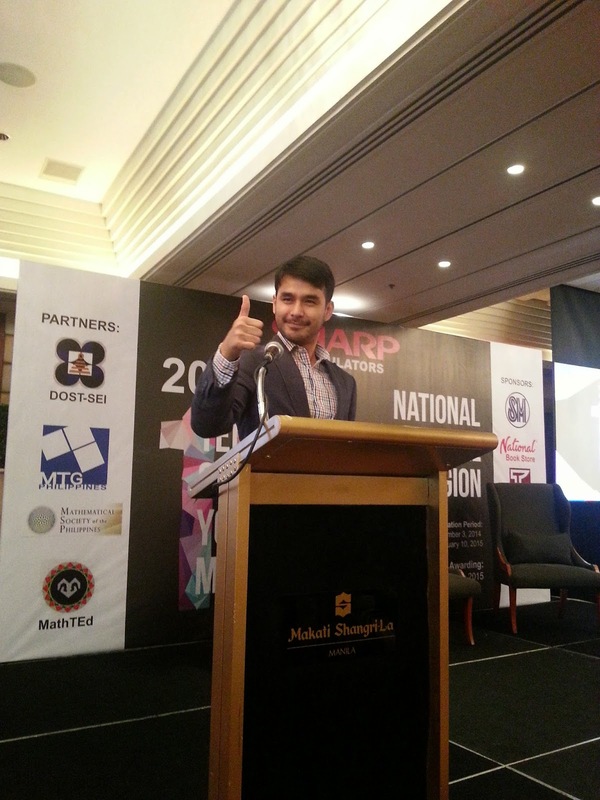 The TOYM awardees will be the first batch of Sharp Calculators’ Youth Ambassadors that will inspire and encourage the Filipino youth to strive and achieve academic excellence through school tours and mathematics symposiums. 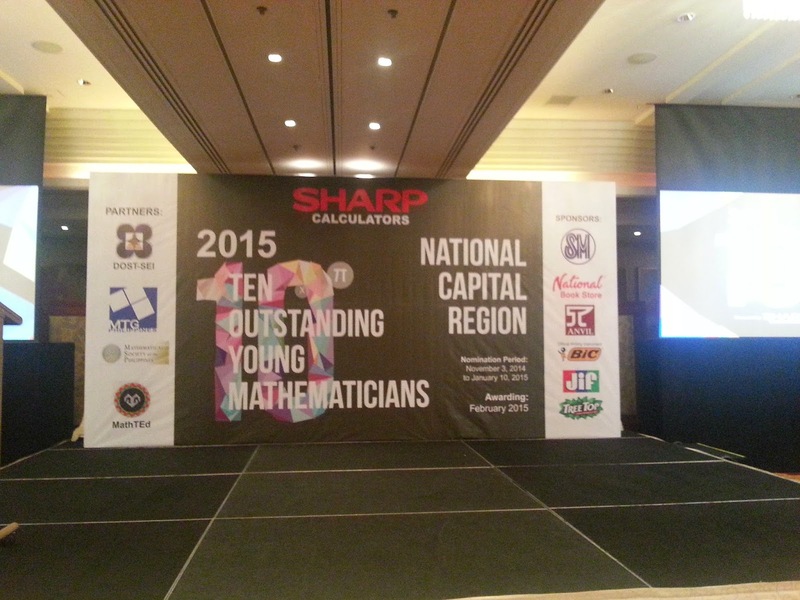 They will be receiving plaque of excellence, cash prizes and gifts from Sharp Calculators and sponsors. - Open to all public and private high school students in the National Capital Region who have completed at least two years of high school. They must be Filipino citizen either naturalized or born. - Nominee must be among the Top 3 students in math as certified by the school principal. - The award will be based primarily on the nominee’s performance on national and international competition. These competitions must be recognized by the Department of Education or Department of Science and Technology. - Presentations or publications of original work in mathematics are desirable. Of course, I couldn't just leave the event without a pic with Atom. 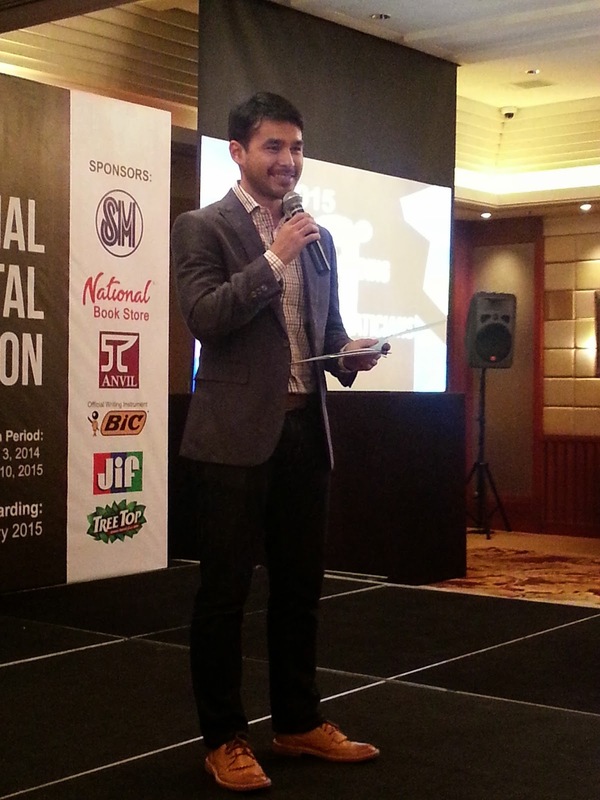 The deadline for nominations will be on January 5, 2015, with the awarding ceremonies scheduled on February 2015. For more information please contact Sharp Calculators at 681-6161/646-2867 and look for Ms. Mary Rose Rocha or Ms. Clara Camille Ocampo.